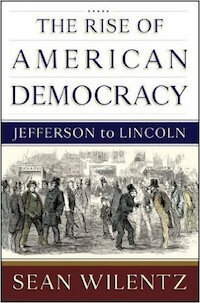 Acclaimed as the definitive study of the period by one of the greatest American historians, The Rise of American Democracy traces a historical arc from the earliest days of the republic to the opening shots of the Civil War. Ferocious clashes among the Founders over the role of ordinary citizens in a government of "we, the people" were eventually resolved in the triumph of Andrew Jackson. Thereafter, Sean Wilentz shows, a fateful division arose between two starkly opposed democracies―a division contained until the election of Abraham Lincoln sparked its bloody resolution. Winner of the Bancroft Award, shortlisted for the Pulitzer Prize, finalist for the Los Angeles Times Book Prize, a New York Times 100 Notable Books of 2005 and best book of New York magazine and The Economist.